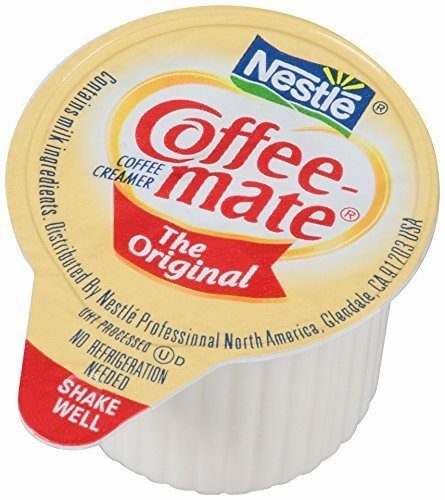 Coffee-mate Coffee Creamer Singles As Low As $6.11! You are here: Home / Great Deals / Amazon Deals / Coffee-mate Coffee Creamer Singles As Low As $6.11! Use these all the time when I’m out, but haven’t thought about keeping them in the house. At this price I’m definitely reconsidering! This add-item at Amazon is $9.59 for 180 of these! If you get this on subscribe and save you get 5% off and now the price is $9.11! If you subscribe to 5 items in the same month you get 15% off your entire order instead of 5%; now the price is $8.15. Clip the 25% coupon for getting this delivered the first time. That brings it down to 180 Coffee-mate Coffee Creamer Singles As Low As $6.11! That’s just under 4 cents apiece!